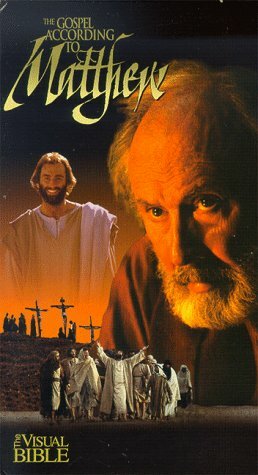 The Visual Bible: Matthew is a 1993 motion picture portraying the life of Jesus as it is found in the Gospel of Matthew. The complete Gospel is presented word-for-word based on the New International Version of the Bible. It was directed by South African film maker Regardt van den Bergh and stars veteran actor Richard Kiley in the role of St. Matthew (who narrates the movie) and newcomer Bruce Marchiano as Jesus, Gerrit Schoonhoven as Peter. Marchiano portrays Jesus as having a sense of humour. The film has been dubbed into various foreign languages including Spanish, Cantonese and Mandarin.